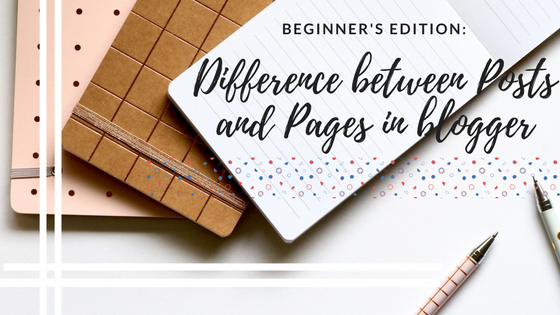 In this article I'm going to reveal the difference between posts and pages in blogging terminology. If you have just started your blogging journey (Congratulations! 😃 ;) then I think you might have stuck your head upon this issue! I will also let down my stupid reason of getting into this holy confusion after getting you might think such a stupid I was! This question might look simple for many but it is actually a tricky to catch up at the first instant because more or less both posts and pages carry the same identity that both are webpages. As they have the same identity newbies find it difficult to differentiate them. But relax you headed up to the right place. I would clear your every spot of confusion! First you need to understand is that the words post has its roots in the Blogosphere only (as per my knowledge) and also it does not have any relation with web's predefined (technological) terminology. they constitute the basic niche related articles you write for your blog. they are automatically posted in reverse chronological order by your CMS in your homepage. And there's some regular difference between them which I will catch down at the below infograph. So, I wondered why is that my post not coming in a separate page like in case of all other had and my all entire post is getting into my Home Page. This was the first starting point of irritating issues of my blogging career. So yes there was bit of havoc, confusion and all mess which I cleared as soon as I got to know about jump break button. Now, I think we are off with all the confusion and I don't think you need any further explanation but still waiting for you below in the comment section. Can Blogger kick off your blog? 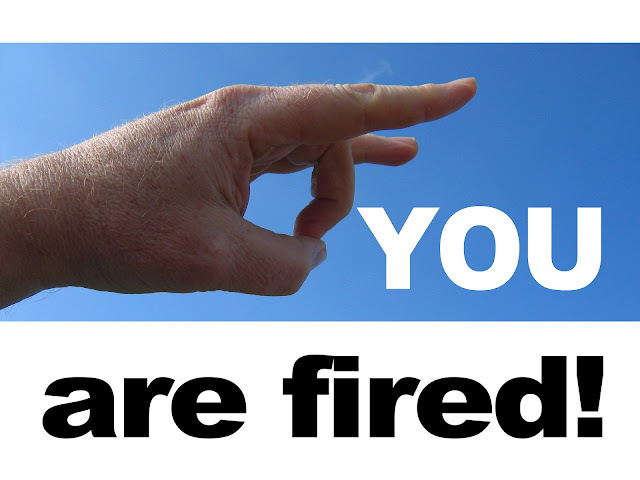 Is there any chance that your pretty blog could actually get fired by blogger? Have your ever muddled up this thought in your mind? You may have thought of this if you have any time used some other peculiar blogging platform. And that's true they may simply kick out your blog for literally nothing! But relax in case of blogger because here you could not easily see things juggling around for simply no any reason. But you could not supposed to expect all the happy things because there's still a chance of your blog being deleted and that what I met with in the last month. It was not receiving any traffic and I also had not been working on it so it was not like that annoying but still it coagulated my temper. So henceforth after my blog being restored there is no reason to put upon some serious allegations on Google but still there are probably some flaws in its system. 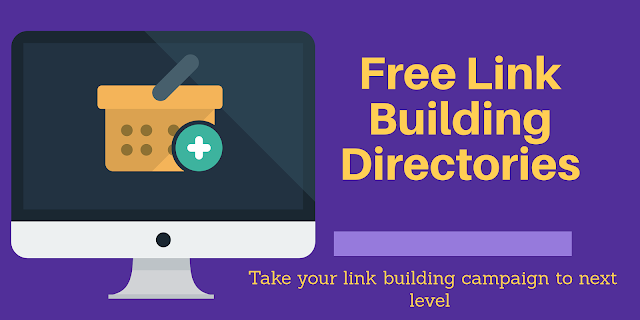 So in this minimalist know-how-tutorial for Blogger newbies I will tell you the ways you can protect your some of the very own fashioned tiered-link-building or just hobby blogs form being deleted by blogger. I know that you may know this popular link building tactic that involves creating free blogs and increasing their authority and using them to transfer link juice. There may also be some who don't want to run their minds on these little complicated process but rather build blog and do some work and shoot away soon after but for a long duration. For all of these kind of people I will put the best and the most secure ways to cross out any possibilities off your side blog being deleted. The major reason that blogger don't loves your site can be the low traction of visitors it brings out or it has brought in till now. Believe me this could not be the alone reason for blogger to do anything but if this mixed with low efforts on your side and your blogs being pilled up for long and you not recognizing them for long time by not even logging in to your account can persuade Blogger to remove your blogs. But I want to make you clear that these are only theories that are pulled by me from what happened with me so I want to make clear that the probable chances of this happening are low! To minimize any such events you should at least log into your account time to time and if you want to go further do create posts on them. 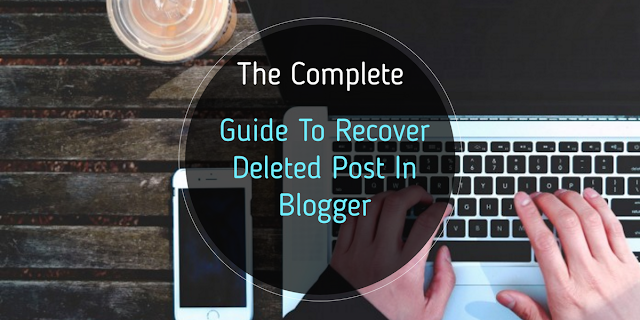 Second reason for your blog being deleted is in prospect of Seo. Remember that Blogger offers some features to play with Seo settings. Whether you have been a web developer or if someone else offers to experiment with the codes for not any good reason like misplacing identities of element, false behavior with search engines and etc. I would advice you to not to play out of the boundaries at that level or else blogger would not have any second thought regarding deleting your blog. So these can be some of the not so obvious reason that might pull your blog down. 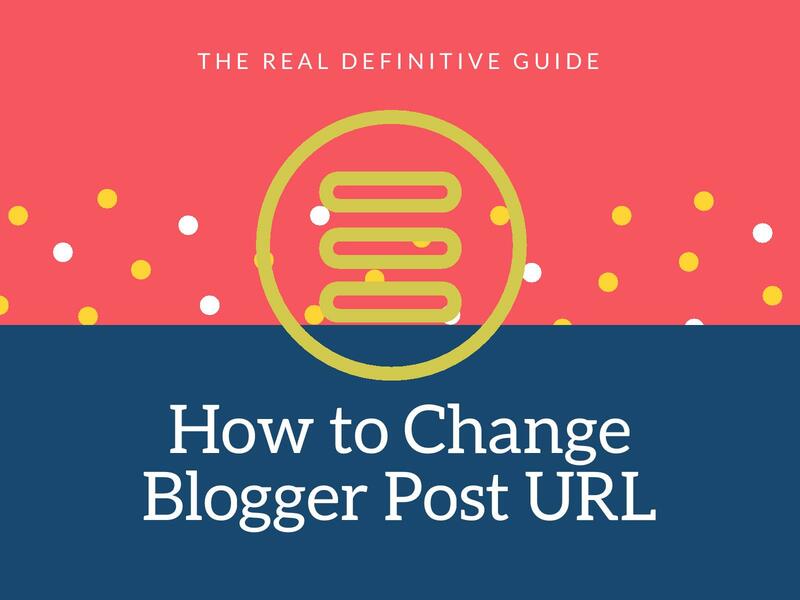 Bonus tip: Blogger and google loves site that are relevant and one thing that points out to the relevancy is the comments on your blog as long as there are some of good comments in your blog there are no any chances for your blog being harmed. If there's any doubt or fear developed in your mind about the security of your blogger blog then I would say that you have re-entered the safe zone because after all who cares other than you if your blog is being deleted along with all your tedious effort. But, if you are boiling with too much of anxiety then I think you have taken this into too much of hype which is useless because blogger being one of the oldest and preferred platform and also owned by Google can't get your blog down too easily if you follow my suggestions. At last I have heard many bloggers say that they migrate to wordpress only because of this silly reason so there's really a matter of concern! And also please share for everyone if there's something related to this happen to you. We all would be interested to look at your story. What are Page-Level-ads in AdSense? AdSense Page level ads are new-age technology based ads specially designed for mobile internet users. Comparison between normal ads vs Page-level-ads. How to Setup these ads? and test them. If you want to know complete about these #Smart-Ads then join me till the end. So what you get in the package? Anchor/Overlay ads: These ads are mobile ads that stick to the edge of the screen and are easily dismissible. It is displayed by AdSense when its best part in the game so to increase your revenue and also provide good user experience. It is only served on high-end mobile devices. Vignette ads: Vignette ads are mobile full-screen ads that appear between page loads on your site and can be skipped at any time. It is also displayed by AdSense at optimal times to help increase your revenue and provide a good user experience. It is displayed when the user leaves a page, rather then when they arrive on one, so the user do not have to wait for them to load. It is limited in number per user to maintain a good user experience. It is also not count as a part of your regular quota of ads. It is also served on high-end mobile devices. Vignette ads are like interstitial ads in AdMob i.e. you see in apps. It increases your clicks on ads. Very easy to setup, just once you need to do for all pages. With over 40% of mobile internet user from total internet users, its very crucial to set this ads. 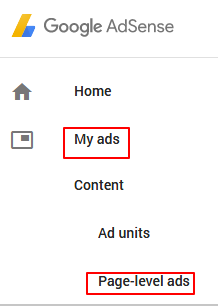 These ads are not count under your maximum 3 ads policy, so you can add them without any worry. Comparison between Page-level-ads and normal ads. I thought this topic could be handle at its best only with an infographic. So, this is for you. 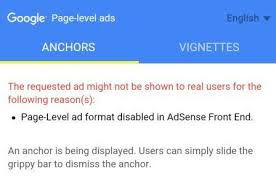 I was not a member of AdSense for a long time so, showing my report would not contribute to some sort of serious facts. Henceforth, I searched over some case studies of other bloggers those who were convincing. And the most insightful case study I got from saumya majumdar . He was baffled with the results! an increase of 700% in his daily adsense income. Could you think of that? If you don't know what sticky ads are then they get stick somewhere in your site so that even when visitor scrolls the page they are there same like the anchor/overlay ads. Because it's obvious that anyone can easily get their attention on it so it gets max clicks and also more view time and in total increase in earnings. But when he worked out with Page-level-Ads it increased 275% revenue on first day but gradually decreased to 50% mostly because these ads do not function always and works at optimal times to reduce the possibility of any type of bad user experience. 1) log into your adsense account. 2) Go to My Ads > Content > Page-level-ads. 3) Toggle on both anchor/overlay ads and vignette ads. 5)Head over to Blogger >Theme >Edit Html. 6)Click anywhere in the code and press CTRL+F. 7)In the search box search for </head> and above </head> place your code. 8)And in that AdSense change async to async='' or otherwise you will see this error message from blogger. Error parsing XML, line 1476, column 15: Attribute name "async" associated with an element type "script" must be followed by the ' = ' character. Now it's time to test them -> Open your mobile device and type www.yoururl.com/#googleads. And select the type of ad that you want to test. This is the worst you can expect to happen. 1) You are not using supported browser to view ads. For Android: Default Android browser, Google Chrome, Opera are supported while Firefox and Opera Mini not supported. For IOS: Google Chrome, Safari are supported while Opera Mini is also not supported here. For Windows: Not supported on any browser. 2) Your device is not compatible. For Android: Android 4.0 Ice Cream Sandwhich and higher. For IOS: IOS5 and higher. For Windows: Sorry! get an Android or IOS Device. 4) Your browser's current zoom is not in neutral. Page-level ad format disabled in AdSense Front End. To fix this issue see if you have toggle on both the ad formats in step 3. If its still prevailing then watch out if you are watching the ads on your web version of your site in your mobile device. If yes then get to the mobile version. And if you have still bad luck then clear the cache from mobile browser or from the server side. I think you can clear the cache from your mobile browser but for server side you need to watch out on your own. Putting Ads from AdSense is always beneficial. And Page-level-ads for monetizing mobile traffic is great. So, let me know what your concerns and experience on this topic below. And also if you have any issues with this, comment me below. I will fix it with all that I can! Well, you have a great idea, great topic and epic content, now you put them all together in your blog and think that there is no chance other than thousands of people reading it! I think this was the same mindset I had and all those who are early birds. Looking down at the efforts of a writer it never seems that it might have been a roaring struggle for him to put down a piece of content by the readers perspective. But if you are on the writer's place you can actually feel the heavy weight of some of the efforts that he boils down to create a masterpiece of content. 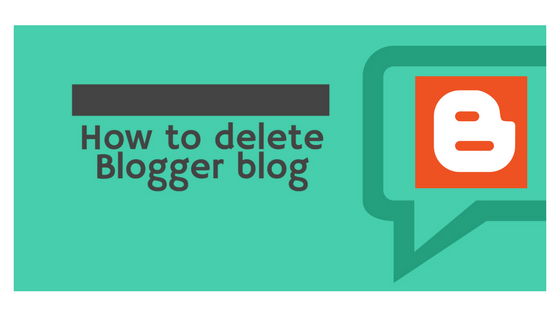 ( This is a quick guide, once again in Blogger tutorial series to delete your Blogger blog. It's a tough decision to delete a Blog that you have built with a lot of efforts but it is a smart decision or rather a good one if it's not rolling out that results as you expected and there's not much of your energy left to push it up. In that crackling amount of time you however managed to complete your article and hit it publish. Then you check your stats and find that there's not enough people visiting your site that you expected from your hard laboured article. And Now you decide to get some SEO checkup and Social Media shares to get the heck out of crowd to visit your site. 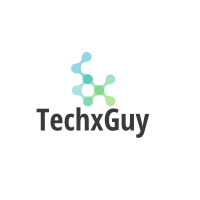 All rights Reserved @TechxGuy. Powered by Blogger.